Many different sports are played in Japan. Traditional martial arts like judo and kendo are popular, as are sports imported from overseas, such as baseball and soccer (football). Many Japanese go to the sea for surfing and scuba diving in the summer, while skiing and snowboarding are popular winter pursuits. Baseball is one of the most popular spectator sports in Japan. There are 12 professional baseball teams, six in the Central League and six in the Pacific League. The teams in each league play about 140 games each during the season, at the end of which the two league winners meet in the Japan Series. Amateur baseball is also popular, and many schoolchildren play the game through local Little Leagues or school baseball clubs. The National High-School Baseball Championship, which is held twice a year, is fought out among schools that have survived tough qualifying rounds to represent their prefectures. Since Japan's own professional soccer league, J. League, was founded in 1993, soccer has won more and more fans in Japan. The 2002 FIFA World Cup was cohosted by Japan and the Republic of Korea, and this has greatly increased the popularity of soccer. In the 2010 FIFA World Cup in South Africa, Japan made it to the Round of 16. Many Japanese players have joined overseas teams and play in the top European leagues. Japan also has women's soccer leagues, in which most of the players are amateurs. In 2011, the Japanese women's national team won the FIFA Women's World Cup held in Germany and in the 2012 London Olympics, the team won the silver medal. This has helped raise the profile of women's soccer in Japan and increased the player population. Traditional martial arts, such as judo, kendo, karate-do, and aikido, thrive in modern Japan thanks to the devotion of those who practice them. In judo, which literally means "the gentle way," the key to overcoming an opponent lies in taking advantage of their strength. Now popular all over the world, judo has firmly established itself as an official Olympic event since its first inclusion in the Games in 1964. Following in the footsteps of judo, kendo (Japanese fencing) has also succeeded in attracting a loyal overseas following in recent years. Kendo competitors wear armor-like protective gear and use bamboo swords to attack and defend. 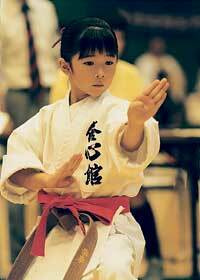 Karate-do came to Japan from China through the Ryukyu Kingdom (present-day Okinawa). Karate-do competitors do not wear any kind of protection and fight using only their hands and feet. Sumo, Japan's national sport, has a history spanning more than 1,500 years. As it used to be held as a way of giving thanks for harvests, sumo still involves many rituals. Rikishi (sumo wrestlers), whose hair is styled like that of ancient warriors, wear only a special silk belt and fight using only their bare hands. Most weigh between 100 and 200 kilograms. They fight in the 4.5-meter wide dohyo (ring) until one either leaves the ring or touches the ground with any part of his body other than the soles of his feet. While the rules are simple, the techniques are not, and there are more than 80 ways to win. Professional sumo tournaments take place six times a year and last 15 days each. Sumo has attracted attention outside Japan through exhibition tours to various countries and the success of wrestlers from overseas. Amateur sport also thrives in Japan, which always sends strong teams to the Olympic Games. A team of 338 Japanese athletes competed in the 2016 Rio de Janeiro Olympics, and 113 took part in the 2014 Winter Olympics in Sochi. The Olympics have been held in Japan three times: Tokyo hosted the Summer Games in 1964 - the first Olympics ever to be held in Asia - while the Winter Games were hosted by Sapporo in 1972 and by Nagano in 1998. And it has been decided that Japan will host the games for the 4th time, with the 2020 Summer Olympics to be held in Tokyo. 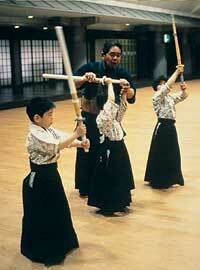 Japanese children play a variety of sports through clubs at school or near where they live. Soccer (football) and baseball are two of the most popular sports among boys, while many girls tend to play sports like tennis and volleyball. Swimming is popular with both boys and girls. What sports will feature in the Tokyo Olympics? What are the features of traditional Japanese sports? Which sports are played professionally in Japan? What are the characteristics of karate? Is football popular in Japan? What were the Nagano Olympics like?